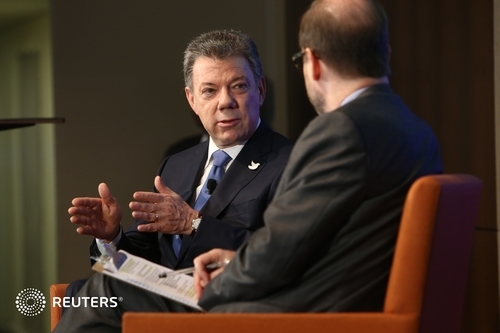 Colombian President Juan Manuel Santos participates in a Reuters Newsmaker event. In introduction, Santos is quoted as saying waging peace can be almost as difficult as waging war. He will discuss issues surrounding a post-conflict Colombia today. Santos is talking through how peace will bring economic growth in Colombia.